It is one of our most interesting and flexible tours. 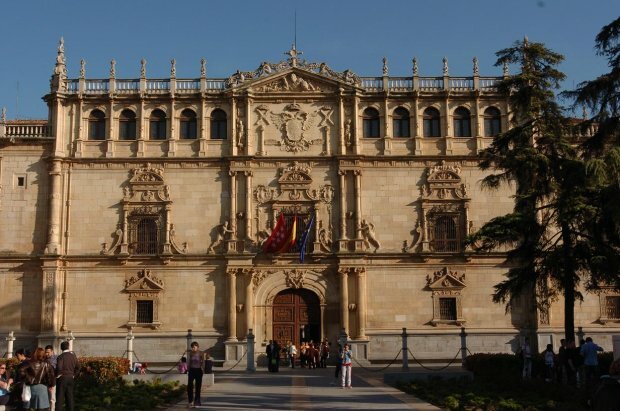 Includes: University or Corral de Comedias (to choose), Capidor del Oidor, Birthplace of Cervantes, former Student Hostelry and Archaeological Museum (Roman mosaics). Interiors: University of Alcalá or Corral de comedias (choose one), Capidor del Oidor, Museum Casa Natal de Cervantes, former Student Hospice, Archaeological Museum (Roman mosaics). Outdoors: Cervantes Square, San Diego Square and Facade of the University, Main Street (former Jewish quarter), Imagen Street, Manuel Azaña’s birthplace and Convent of the Image, Palace Square. 175 € with Corral de Comedias. The itinerary of the tour can undergo modifications according to the needs of the buildings. We can not be responsible for the changes in schedule and last minute cancellations. Group price is for a maximum of 30 people, from this amount the individual supplement will be applied to each person over 30. The price is valid for groups in Spanish language and on working days. The supplement for weekend or holiday is € 20 per group for tour. The supplement per visit in language is € 30 per group for tour.